Dr. Myron Mitchell, a Distinguished Professor in ESF's Department of Environmental and Forest Biology, received the Adirondack Research Consortium's (ARC) Adirondack Achievement Award. The ARC's Adirondack Achievement Award is given annually to an individual or group of individuals who have demonstrated significant contributions to the long-term sustainability of the Adirondack Park. Mitchell was recognized for decades of significant research in the Adirondacks to understand the effects of atmospheric deposition on forests of the Northeast. Mitchell of Fayetteville, a biogeochemist/ecologist, is widely recognized for his expertise in acid rain research, including chemical elemental cycling in forest ecosystems and watersheds. Much of his research on atmospheric pollution, nutrient cycling and biogeochemistry was conducted in the Arbutus Lake Watershed. Mitchell joined the ESF faculty in 1975 and was appointed a SUNY Distinguished Professor, the university's highest faculty designation, in 2004. He is director of ESF's Council on Hydrologic Systems Science. 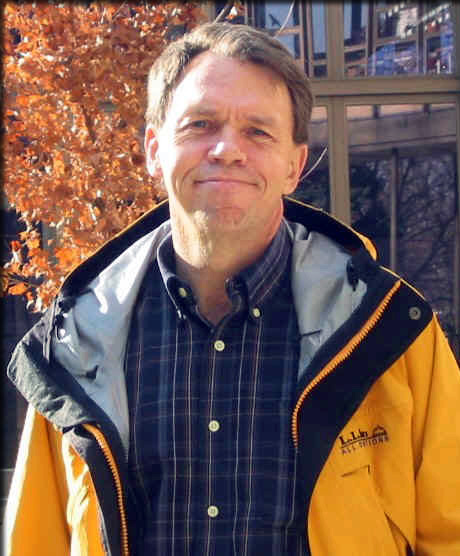 Mitchell has been active in scientific societies throughout his career, including Ecological Society of America, American Geophysical Union, British Ecological Society and the International Society of Soil Science. His investigations have taken him around the world, with active collaboration in New Zealand, Russia, Japan, Germany, Turkey and England. He has published more than 150 papers, chapters and monographs, in literally dozens of different journals, and consistently garnered research support. In the course of his career, Mitchell has held a number of positions, including Visiting Scholar, University of Calgary; Fulbright Travel Fellow to New Zealand; and Visiting Professor to Kyoto University. The award was presented to Mitchell at the High Peak Resort in Lake Placid during the ARC's 21st Annual Conference in May.